This November and December we will once again collect our annual global missions offering during our Worship Gatherings. This is an annual offering that support’s our denomination’s global mission’s agency called the International Mission Board. The annual offering is called “Lottie Moon Offering” in honor of one of our most inspirational missionaries to China, Lottie Moon. 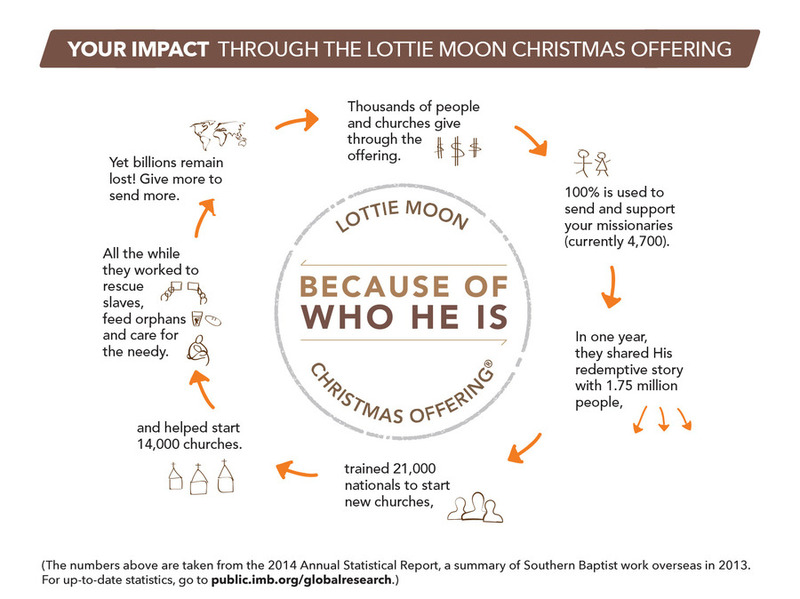 (You can learn more about Lottie Moon and the offering given in her name HERE.) 100% of LMCO donations go to missionaries on the field. Our Pastors are challenging Metanoia to raise a total of $7,000 for the annual global missions offering this year. 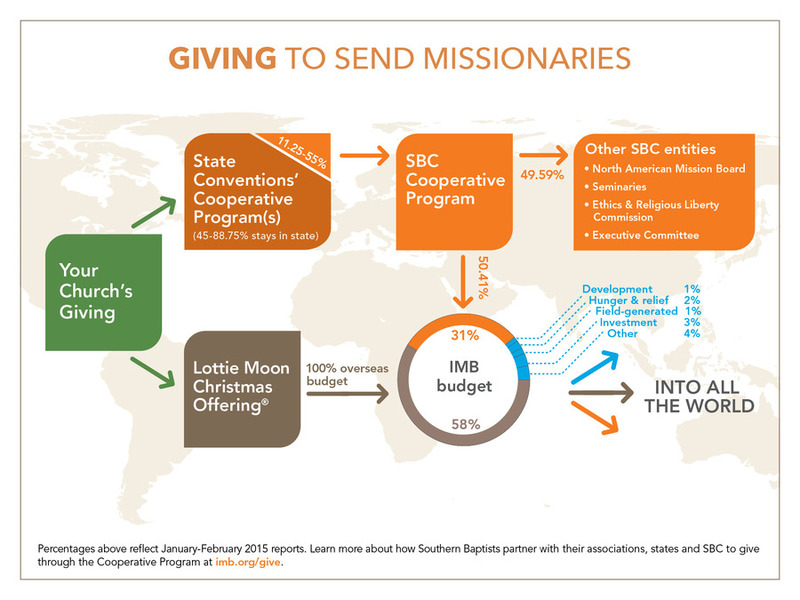 What: Annual global missions supporting the IMB. All donations go directly to missionaries, meaning that none go to administrative or resource costs! Prepare: Begin asking the Lord what you should give “above and beyond” your regular tithe and offering as a special gift. Tax info: These gifts are all tax deductible. Ever wondered how your financial gifts to Metanoia Church support our denomination’s mission and ministry, or how your financial gifts to Lottie Moon Christmas Offering facilitate global missions? Here are two graphics that show how your gifts help. Click on each graphic to see a larger version.